Remember those days of separating out plastics, aluminum, paper, and cardboard into bin after bin–taking up space in your garage or business? Mr. Murph helps solve that problem. We do the sorting for you! How Does Mr. Murph Work? How is Mr. Murph Different from Traditional Recycling? It’s all about the automation. Technology advances allow us to separate paper and containers in stages with the use of conveyor belts, high powered magnets, optical sorters, screens and some other really cool mechanical devices. We’ve gone from a 15% recovery rate through manual sorting up to 95% with our automated Mr. Murph. Talk about progress!! How Does Mr. Murph Benefit Families and Help Businesses? Mr. Murph makes recycling easier for families and businesses. 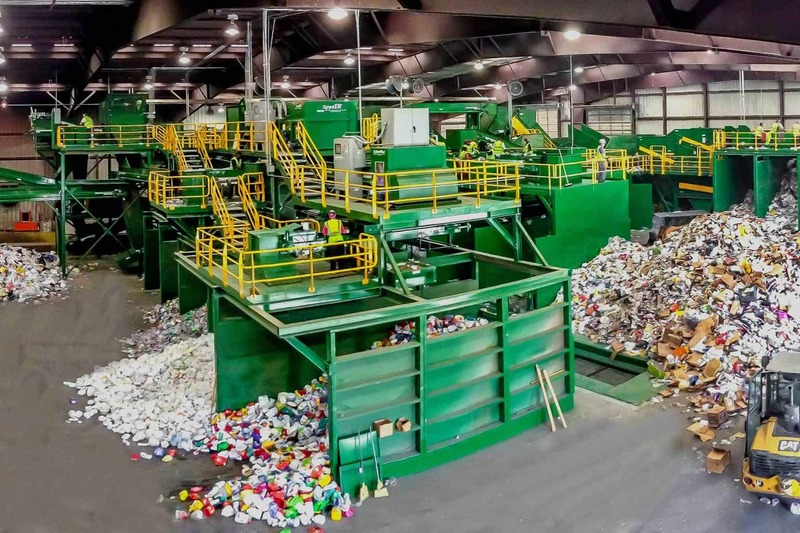 Instead of separating recyclables, people can rest assured TRT is sorting their recyclables to be made into new products and conserving energy. Mr. Murph really does make recycling convenient and easy! That’s why it is so important that your business uses a collection company that takes your recyclables to Mr. Murph. Otherwise, all those recyclables just get buried in a landfill. How does Mr. Murph benefit the community? 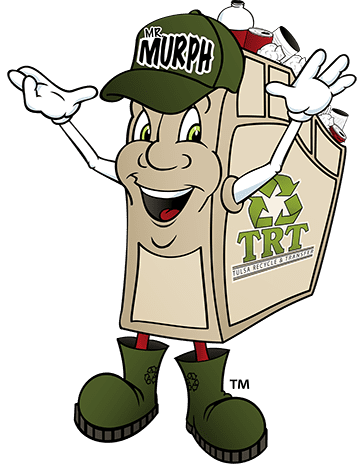 You can help feed Mr. Murph by separating recyclables at home or school…things like aluminum & steel cans, plastic, cardboard, and paper…then, dropping them off at any of our 600 plus locations around town. How can my business help by recycling? DID YOU KNOW… you can still take advantage of our recycling services even if you are using another waste collection service? It’s true… just CALL us and speak to one of our customer service representatives to find out how easy it is to get a recycle container at your place of business. By removing the recyclables out of your waste stream, you’re not only helping the environment, but you could reduce your total disposal costs.